Yet another traditional Italian dish, which served warm could be a meal in itself, or as an accompaniment or allowed to go cold and serve in slices as antipasto. I’ve taken the liberty of making a vegetarian version, by adding a layer of spinach, replacing the more traditional ham or salami layer, but adapt to your own personal tastes. 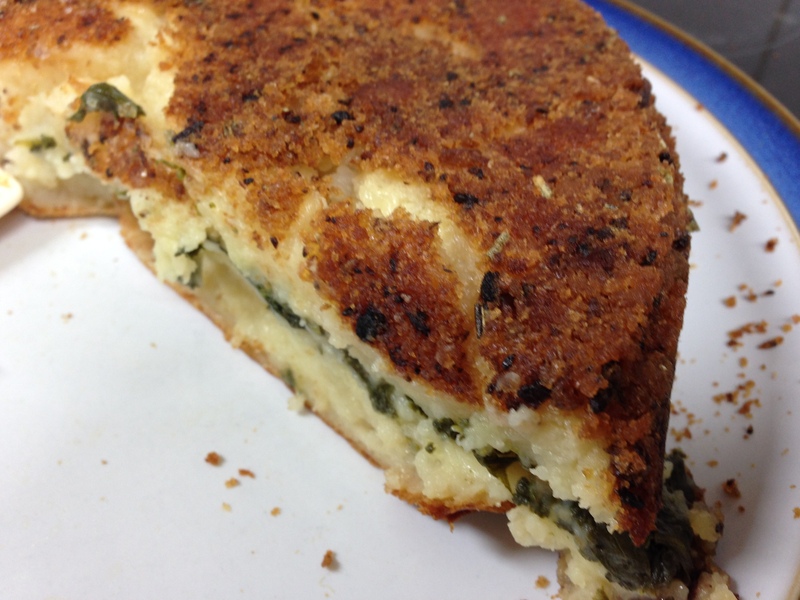 NB: Instead of plain breadcrumbs, I used some leftover Pangrattato – it was terrific! Next Post Broccoli Pugliese – By Special Request!